At last, electric guitarists don’t have to worry about losing or forgetting their tuner. The Shadow SH HB-T allows you to transform any electric guitar equipped with humbuckers into an electric guitar also equipped with onboard tuning. 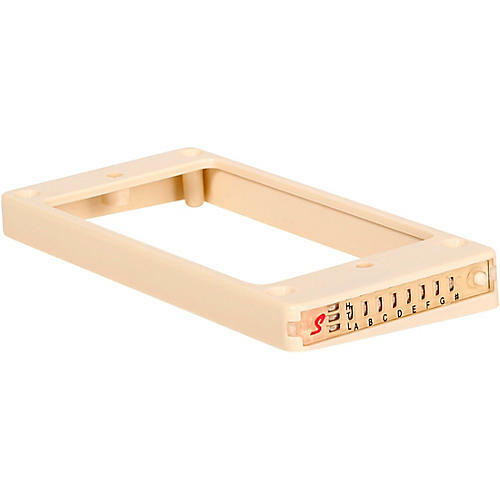 This revolutionary chromatic tuner sits inconspicuously inside a humbucker frame; no drilling, milling, or woodwork required. The responsive Shadow SH HB-T makes tuning fast, precise, and super discreet, and it will not affect the tone of your guitar. Its multi-colored, bright LEDs are easy to read in any environment and the one-button control and automatic switch-off make the SH HB-T ready whenever you are.